The interview process will always be stressful because the stakes are high. There are four basic types of interviews. Knowing what they are and how to prepare for each type will aid you in your job hunt. Since knowledge is power, we will share our knowledge with you so you can become an empowered interviewee at your next job interview. 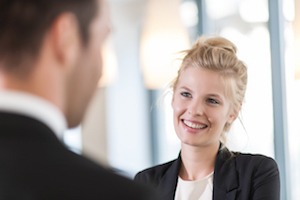 Let’s explore the basic types of interviews and how you can prepare for them. But first, a quick story. Many years ago a young woman applied for a position she really wanted. Like most applicants, she was nervous about what kind of impression she would make. This is her story. Before the advent of the internet (yes, that long ago), information about how to prepare for interviews was not as readily available as it is today. So on a wing and a prayer, I prepared the only way I knew how. I made sure I was properly groomed. I was neatly and appropriately dressed. I consumed breath mints all the way to the place of the interview. I arrived early. I decided to relax and be myself. During the interview I learned there were 3 positions available and there had been 2100 applications received. The field had been narrowed to 14 for the interview process. (Whew, at least I made it this far.) The interview lasted about 30 minutes. Finally the interviewer asked if I had any questions or concerns. Here’s where ‘being myself’ appeared. I was unsure how to access the interstate highway. My question was succinct and to the point. “How do I get out of here?” The interviewer laughed and gave me detailed instructions. He informed me I would receive a phone call in a few days whether I was hired or not. 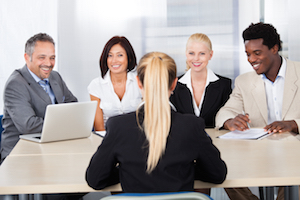 The screening type of interview is used by employers to whittle out unqualified applicants. Interviewers usually have a list of points they go over. They might ask questions based on the resume you submitted, looking for inconsistencies in the information you have provided. 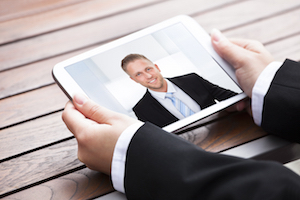 It can be an in-person interview, but many times they are conducted over the phone. Your goal in this type of interview is to do well enough to reach the next level in the interview process. During the phone interview, move to a location where there are no distractions. Speak clearly in a moderate tone. Do not whisper or raise your voice. Have your resume handy to ensure you have the same data as the interviewer. Concentrate on your work history, experience and accomplishments. Write notes on possible questions you could be asked and how you would respond to them. Rehearse your notes until you’re comfortable with them. Keep them close to your phone. Have a notepad and pen handy to jot down any questions you might have. The one-on-one, or face-to-face interview is next in the process. Your qualifications, experience and education have been found acceptable for the position. In this type of interview, you want to create a good rapport with the interviewer and convince him that you would be an asset to the company. 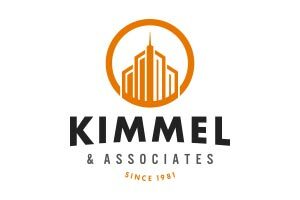 Research the potential employer. Local newspapers and trade journals are good sources of information. The company may have brochures and catalogs available. Your knowledge of the organization can help you make a good impression, as you will be able to ask cogent questions. Arrive early for the interview. This will give you a chance to check your grooming and appearance. Don’t fidget while you’re waiting. Relax by reviewing your notes on the skills you want to emphasize or the questions you have. Smile and make eye contact. If the interviewer offers his hand, shake it firmly. Be engaged in the process. Sit up straight and lean forward slightly. Answer questions truthfully, especially if there is a lapse in your employment history or if a previous employer fired you. Expect all those pat “essay” questions. Be prepared, but don’t rehearse these answers. Well, maybe that last one. You can rehearse the last one. After the interview let them know you are interested in the position. Heck, you can even go so far as to ask for the position. Follow up with phone calls, emails, or a thank you note. Try to find out who all might be on the interview panel. Think up questions you might be asked. Introduce yourself to each person as you shake his or her hand. Write their names down so you can keep them straight. Do it twice if you have to. Look at the person asking the question, then answer to everyone, not just the one. Try to make personal connections during the conversations by referring back to answers you already gave and expounding further. Send a thank you note to each person. 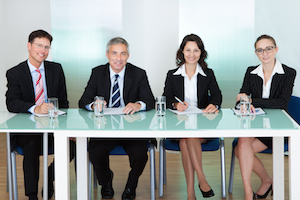 The group interview is used to discover leadership potential in prospective managers. The top candidates are brought together in a casual discussion atmosphere. This allows employers to see your reasoning aptitude, how you interact with others and your powers of persuasion. It is important for you to stand out from the rest. You can prepare by thinking of situations that might be used and having several ways of responding to them. Aim to be the best dressed in the room. Err on the side of modesty, rather than flamboyance. Share what makes you unique. Listen and build on what others say, but don’t one-up them. Get your opinion across, but don’t dominate the conversation. And of course, follow up with a thank you note. This is your last chance to be remembered, and you definitely want to be remembered, especially if you really want the position! Employment interviews are rarely easy or fun. As a necessary part of the employment process, you can’t avoid them. Don’t be discouraged by a “bad” interview. The more interviews you experience, the better you become in the process. No matter what type of job interview you’re gearing up for, you’ll know how to prepare for different types of interviews with these tips. The right job is waiting for you. Remember, be confident, be on time, be yourself and most important, be prepared.